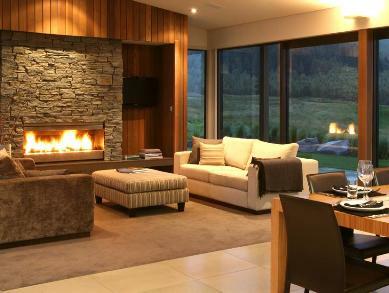 Luxury Villa at The Kinloch Club Golf Course, Lake Taupo. 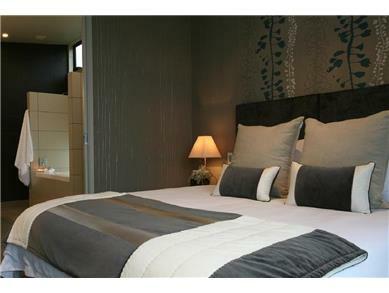 4 large ensuite superking bedrooms. 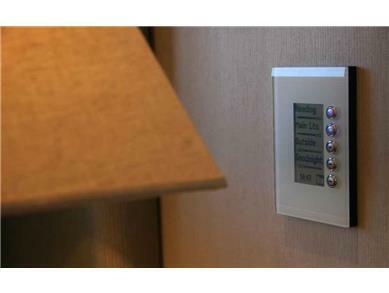 Home automation and complimentary Wifi. 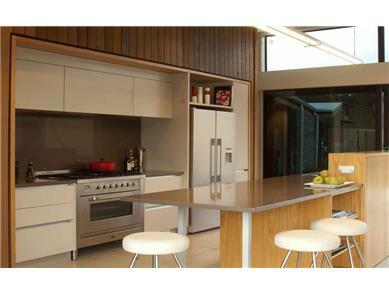 Fully equipped kitchen and BBQ. 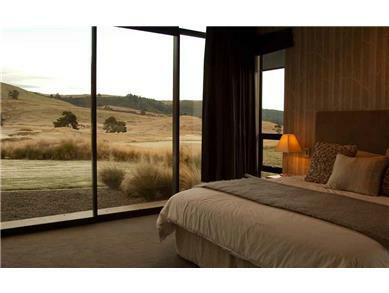 Architectural award winning Dunalistair House offers four ensuite bedrooms, and has set a benchmark for holiday home quality and luxury within New Zealand. 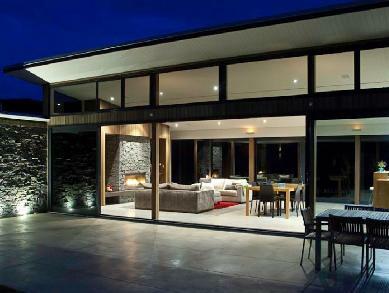 The home is the only 5* Qualmark holiday home in the Taupo region. Smartly presented, the sophistication of the home is of the highest order, yet it appears understated with the use of nature timbers and stone as the main building materials. A discount of 30.00% is available on bookings 7 night/s or over. 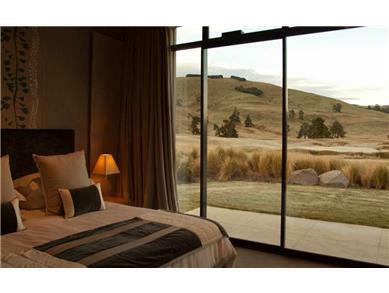 The Kinloch Club is located in the Central North Island of New Zealand, only 15 minutes from Taupo, and 55 minutes drive from Rotorua. 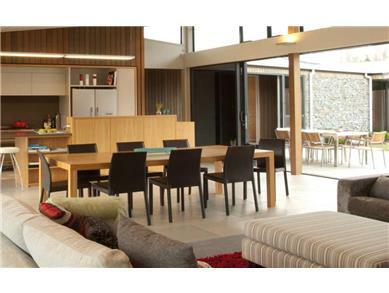 A growing number of families are staying simply for the fact that the location is idealic for children and parents to explore this stunning region of New Zealand. 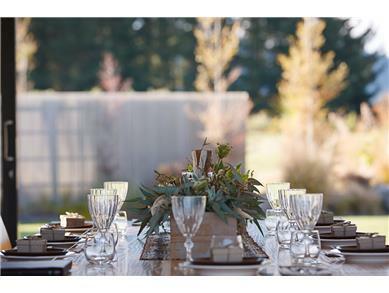 It is also ideally suited to stay at Dunalistair if you are a golfer or fisher. Guests who have stayed at Dunalistair have overwhelmingly declared that they enjoyed staying somewhere which is luxurious, yet they did not feel that they had to 'tiptoe around'. Dunalistair has purposely been decorated with travellers in mind, so that they can chill out at the end of a long day, sit back, put their feet up and enjoy a glass of wine in front of the fire. 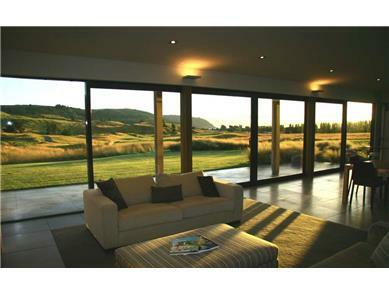 The living areas are of a panoramic (pavilion) type layout, with expansive views over The Kinloch Club golf course and the hills behind Kinloch town. There is also a glimpse of the mighty lake Taupo in the distance. There is also a media room with 50 inch plasma screen, playstation 3, and MySky / Home entertainment system. All bedrooms at Dunalistair House have ensuites. 2 bathrooms have baths and showers, and the other 2 have showers only. 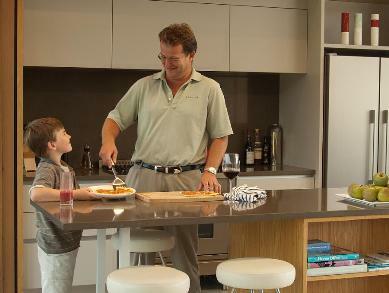 There is continuous hot water through an infiniti hot water system. 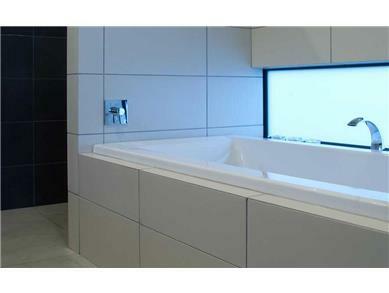 The whole property is also double glazed and underfloor heated throughout. Locally, in Kinloch there is the W2K bike track, one of the countries greatest mountain bike tracks which spans through 13 Kilometers of bush trails. Kinloch also has the only marina with permanant berths on Lake Taupo, with a stunning array of boats on display. Access to fishing is simple from Kinloch with a number of charters offering guests the opportunity to fish. The ski fields of Whakapapa are only a 1 hour 15 minute drive away, making for a great day trip. Both Rotorua and Taupo are short drives. The destination of Rotorua is the heartland of New Zealand tourism with a large array of cultural and adventure activities available, including luge, bungy jumping, guided walking, geothermal activities, farm tours to jet boating. Taupo also offers an opportunity to swim in hot-pools which are fed from natural springs, with water a delightful 40 degrees centigrade. Golf is the main past-time of visitors to Dunalistair House. With The Kinloch Club, and Wairakei International only a short distance away, we also offer helicopter day trips to Cape Kidnappers, rated the best golf course in the world by The Daily Telegraph in the UK in 2008. We often have a number of specials allowing golfers to stay and play at this spectacular location. 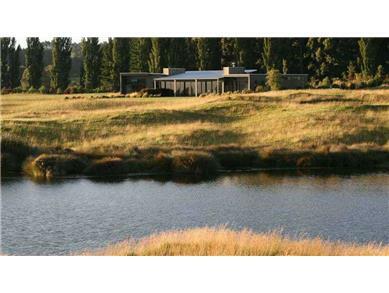 Dunalistair House are able to offer fishing guests access to some of the most exclusive fly fishing waters of New Zealand. With access to over 25 miles of private water, it is not uncommon for guests to haul 15 trout per day, with average catches of 5-7lb, and 10lbers not being uncommon. 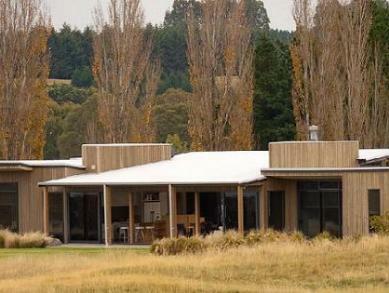 Eating out includes the clubhouse at The Kinloch Club, The Tipsy Trout in Kinloch, as well as a large number of restaurants and pubs in Taupo.